Credit Photo Courtesy of Peter Cincotta. Per Peter Cincotta: "Juggles and Mike (the Boss)." Photo Courtesy of Peter Cincotta. This guest was born the same year I began working as a clown (1981) at Great Adventure. He lived very close to the park and his parents brought him to the park often. After a while we got to know him very well. He was a hyperactive kid and he would play with the clown and run around with us a lot. 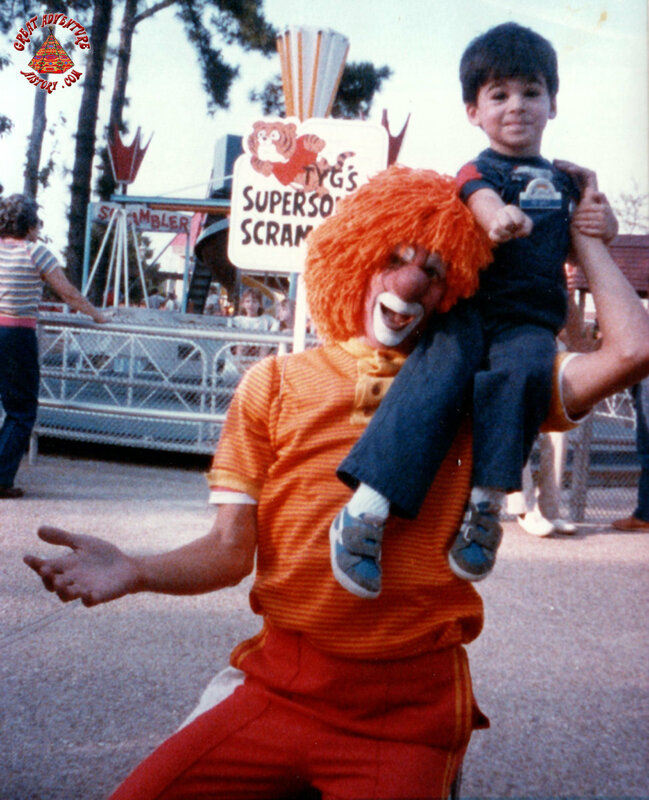 It was funny to see full-size adult clowns playing with this very little kid. We were always glad to see Michael at the park.